Straight shaft die grinder designed to grind in hard to reach areas;1 hp motor easily handles heavyweight applications such as stock removal;Fully machined steel motor housing provides strength and durability;Wrench flats and overhose interface allow easier maintenance and compatibility with accessories The 3M™ Die Grinder is a straight-shaft tool ideal for heavyweight applications such as stock removal and weld leveling, and are designed for continuous use with features that enhance operator comfort and control. Numerous upgrades have been added to enhance the strength and durability of the tool, while maintenance and compatibility improvements make this tool easy to use and maintain. 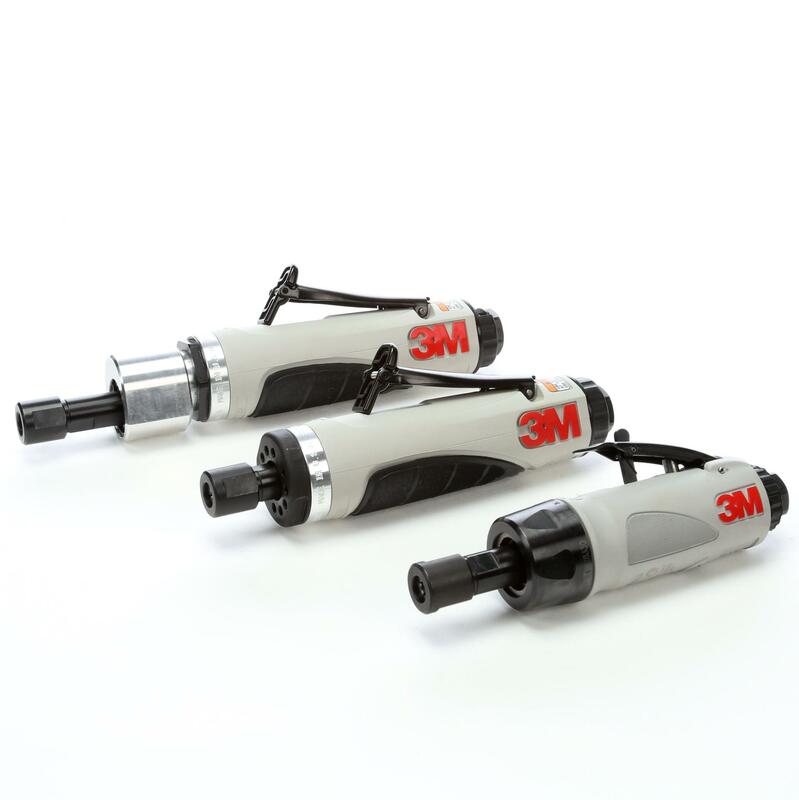 Jaco Aerospace and Industrial is your one stop resource for Refurbish and Repair for 3M™ Die Grinder 28332, .5 hp 1/4 in Collet 4,000 RPM and all of your 3M Products, Tapes, aerospace and industrial needs.